One of the things that will likely shock people about American life under a President Trump is just how little might actually change. It’s no secret that many in the law enforcement community were big Trump supporters. But the promise of “law and order” has turned into an exhausting increase in large protests and hate crime investigations. That appears to be the pressing question on the minds of some. 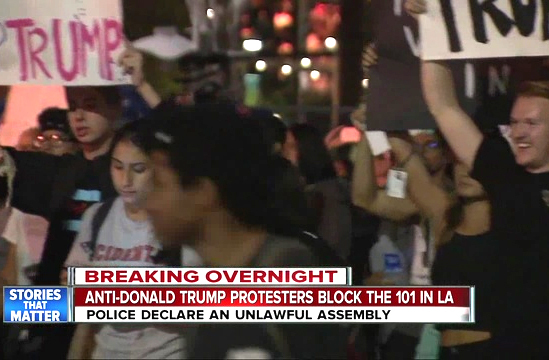 “Whose side is the mayor on?” Craig Lally, president of the Los Angeles Police Protective League, asked local reporters- questioning the mayoral response to the massive anti-Trump rallies seen in L.A. and across the nation. The exact same scenario is playing out on the opposite coast. Police unions accusing mayors of coddling protestors is about as American as apple pie. And it’s likely one of many things that won’t change one bit as the result of a presidential election. He’s not the president yet, these are not protests they are riots. So what should he do? The current administration are the ones that supported Hillary and are allowing the anarchy to continue. So voting in Hillary would have been a good idea? Who wrote this article?